"I pressed my nose to the car window. As we neared the coast, the light became sharper, the pines scrubbier. Everything became more of what it was. I would write that down later, maybe in a poem." 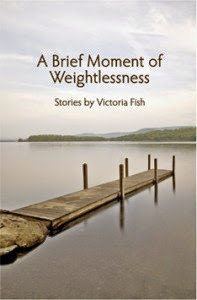 A Brief Moment of Weightlessness: Stories by Victoria Fish is comprised of eleven short stories, that were published as a collection by Mayapple Press in 2014. 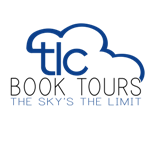 When I was invited to participate in the TLC book tour for A Brief Moment of Weightlessness, I was a bit concerned, because as much as I enjoy reading short stories, I tend to struggle with how to review them. How do you properly review or discuss or present a collection of short stories? Do you say a couple of words or sentences about the premise of each story, or about the various characters, or do you offer instead a longer summary of your favorites? Or, do you simply write, without preconceived ideas, and let the process of writing shape the post? Although I wasn't quite sure how to write this post about these short stories, I decided to start with a succinct synopsis of each story. ~ Where Do You Find a Turtle with No Legs? is written in the third person from the point of view of a fourth-grader, Maddie, who has just found a flattened turtle on the road, and is thinking about her father, who's in jail. ~ A Brief Moment of Weightlessness is written in the first person from the perspective of Frances; this story centers around her family's week long summer trip to a cabin on a lake in Maine. ~ The Sari is written in the third person from point of view of Sarah, a college student taking a semester abroad in India, who has a dream about her deceased mother. ~ Green Line is written in the third person from the point of view of Adam, who goes to see Esme and his daughter, Lily. ~ Unleashed is written in the third person from the point of view of Alison from the Pet Visiting Program, who brings a dog and her four-year-old son, Thomas, to the nursing home. ~ What is the Color Blue? is written in the third person from the point of view of Claire, who becomes friends with her striking new neighbor, Isabel, who has just moved to Vermont. ~ Sanctuary Therapy is written in the first person from the perspective of Emily, whose son, Jackson, is being treated for cancer. ~ Phantom Pain is written in the third person, from the point of view of Katherine, whose husband, Eddie, has lost part of his leg. ~ The Voice at the End of the Line is written in the third person from the point of view of Valerie; her daughter, Delia, calls her in the middle of the night while Valerie's on a business trip. ~ Between the Dream and Here is written in the third person from the point of view of Martha Waterman, an elderly woman who has just seen her childhood friend, Kate, in a dream. These very brief descriptions give you an idea about the content of the stories, which are about family and friends and feelings. The collection begins with a story from the point of view of a young girl, and ends with the perspective of an elderly woman. In between are stories with main characters of varying ages, in different stages of life. It's through these varied and distinct voices and perspectives that we see the world, and are transported by fiction into the lives of others. Although I'm still not certain of the best way to review a collection of short stories, I'm certain that I need to express my admiration for Victoria Fish's writing. It's truly astonishing. What makes these stories so extraordinary? The dialogue in these stories seems natural and authentic. I also think it's the amount of description and detail that the author uses throughout her stories--not too little, not too much--but exactly the right amount which brings these stories to life, and makes them real, believable, and touching. The situations and emotions in these stories are familiar, and as I immersed myself in them, I experienced the feelings of the main characters. I felt empathy and cared about the characters. Victoria Fish skillfully captures fleeting moments, and infuses her stories with a rare emotional depth. I enjoyed this collection very much, and would eagerly read more short stories, or other work, by this gifted author. I am very pleased to be able to share this exquisite collection of short stories with a reader. Mayapple Press is generously offering a copy of A Brief Moment of Weightlessness as a giveaway (U.S./Canada only). For one more chance, mention which story summarized above most interests you at this moment. Enter by 5 PM PDT on Monday, October 6. One winner will be selected randomly and announced on Tuesday, October 7. Good luck! Special thanks to Lisa from TLC for sending me a copy of this book. For more reviews, giveaways, and other features pertaining to this book, please visit the other stops on TLC's tour for A Brief Moment of Weightlessness. Thanks for your wonderful review Suko and for chances to win this book. It sounds like a wonderful collection. I am a follower of your blog. I think I am most curious about the last story Between the Dream and Here. Sometimes dreams can be fascinating. I will tweet your post. The link will be on my blog for awhile. Whilst not a fan of short story collections some of these really appeal to me despite the fact the fact that I don't normally do animal stories. Where Do You Find a Turtle with No Legs? - what a title, really intrigues me as does Unleashed. You did a fine job writing this commentary. A short summery of each story and then general commentary is a great way to go. Between the Dream and Here sounds poignant and meaningful. I love short story collections and this sounds really good. The Sari because I lost my mother and know what it's like to dream about her. Unleashed because I know how some people in nursing homes light up when a pet is brought to their room. The Last and Kindest Thing because I'm a sucker for dogs and the thought of losing mine is something I can't imagine. I don't read many short story collections, but this sounds like an interesting collection. Thanks for review I really want to read these stories.i am an email follower. I don't really read short stories, but this sounds good. Great review. I always say that I need to make time to read more short story collections, and reviews like yours remind me of why that is. I have very similar issues reviewing short colletctios. Often the stories were not wriiten as part of a whole. I honestly couldn't single out a story if I tried but I know that the thought about reading Adam's story would make me feel very sad. And that's precisely why I want to read it. I've been wanting to read more short stories lately. And normally I leave comments saying that I don't want to enter the giveaway but for once I do. So here's my comment and yes I'm a follower and now I'm off to share this on twitter. I'll increase my odds any way I can. LOL! Nice review - it's not easy to describe a short story and not give away too much. I'm on the tour too so I waited to read the other reviews.